Posted on April 8, 2017 by partynow Posted in Costumes . Here is a grid of different sweet and cute Easter outfits for your kid. These outfits are suitable to wear after the Easter Sunday morning worship services. After that kids can go to a egg hunting party and change in some of these sweet Easter costumes. This cute and cuddly Noah’s Ark Vanilla Bunny Infant Costume! This cozy and comfortable costume includes a thick fluffy jumpsuit with a multi-colored tie on the front, enclosed booties in the shape of cute bunny feet with cream-colored toes-pads and tummy fur. Now your little one can get in on the fun by wearing this adorable holiday costume. The costume is made of 100% polyester. It is a white faux fur jumpsuit with attached feet. Rainbow bow on the front. White pompom sewn on the back. This is one of the cutest and sweetest baby Easter costumes. It’s not even fair! All we want to do is cuddle da widdle baby- See! We’re even slipping into baby talk looking at this costume. So we get it, you want your baby being the most adorable, cutest little sweetheart out there on Easter morning. 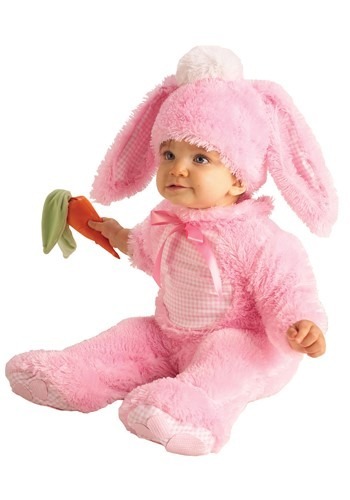 Get your kid ready for Easter egg hunt in our Pink Bunny Infant Costume! 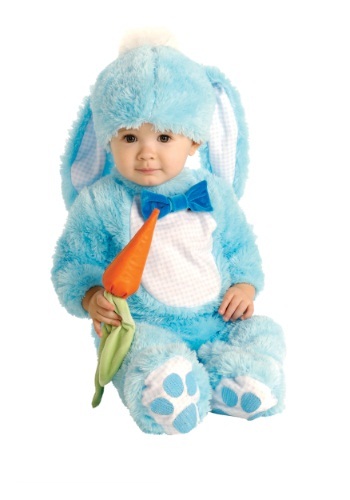 Kick your infant’s cuteness up a notch when you grab this Baby Blue Bunny Costume. Blue Bunny Costume, he or she will be ready for any of those occasions! The baby blue romper has paws printed on the bottom of each of your little one’s footsies and it even has a charming bow tie attached below the neckline. Tags: toddlers easter costumes .